A holiday afternoon with awesome folks topped off by a dance party with vintage R&B, blues and soul from The Soul Supporters. Plus, (pizza) pie and beer. Then, a big group bike ride to the fireworks at Auditorium Shores to meet some friends waiting for us. That’s our plan. We (and Uncle Sam) want you to join us. We’re teaming up with our Hell Yes Projects friends from Ghisallo Cycling Initiative and Please BE KIND to Cyclists for the ride. Bike Austin and Team $uper Awesome say that they’re in on the fun, too . 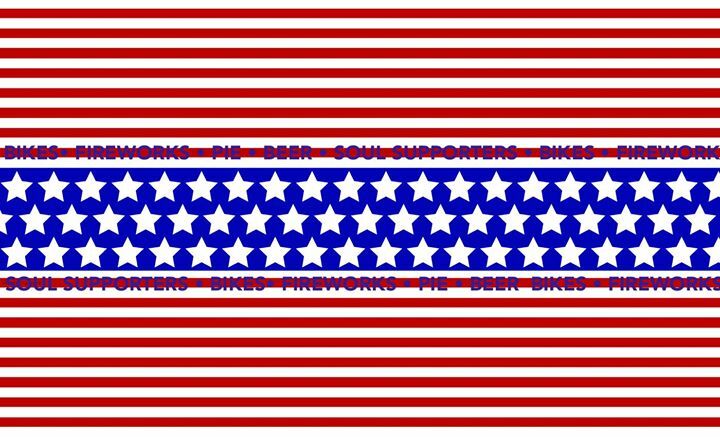 The ABGB will be open 12-8p. The Soul Supporters will play at 5p. Around 7:30ish, we’ll saddle up for the ride to Auditorium Shores. The Austin Symphony plays at 8:30p. The fireworks are at 9:30p. During the afternoon at The ABGB, we’ll have lots of fun stuff going on, too. Stay tuned!